Just to level with you at the outset: I’m no fan of horror movies. 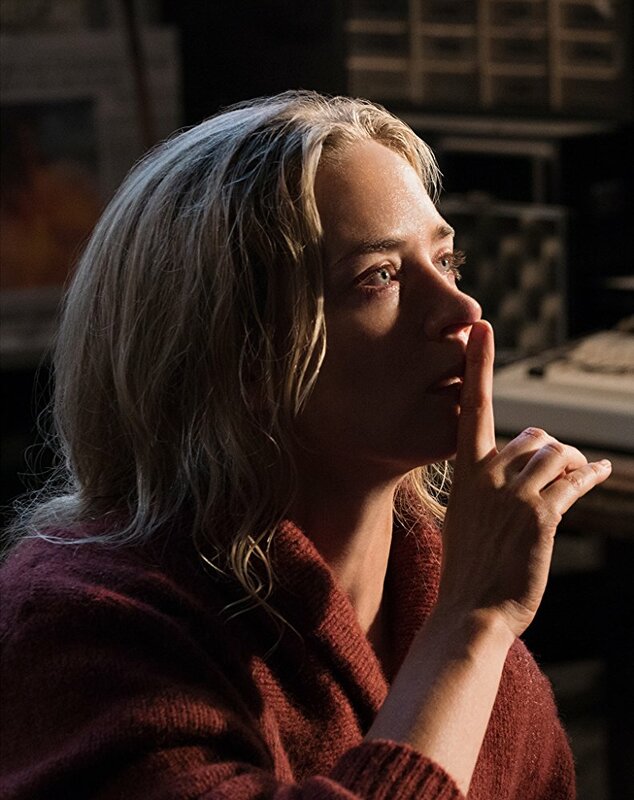 When good reports began to sift in about A Quiet Place, it seemed the best choice during this extremely weak movie spring. Just about two minutes passed before the originality and skill up there on the screen scared the audience into stone cold silence. Who is responsible for this wickedly absorbing movie? Director John Krasinski worked with writers Bryan Woods and Scott Beck to bring this story to life. We are pulled in on the 89th day after a slew of monsters invaded the land around a New York State family. Because the monsters’ eyes can’t guide them successfully to the food they need, they pounce and eat anything that makes a noise. The Abbott family learns quickly to live in absolute silence, to walk barefoot, to sneak through life to avoid becoming food for the invaders. That premise ensures that the story will be delivered in silence while occasional background music reflects different moods. Complete quiet invites us to reexamine the noises of our own world. Father Lee (John Krasinski) spends his time trying to figure out how to send an SOS to the bigger world. Mother Evelyn (Emily Blunt) tends her children – teenager Regan (Millicent Simmonds) and eight-year-old Marcos (Noah Jupe). Both of these young people understand the disastrous possibilities of noise and both are cooperative and clever. No arguments in this situation, just how are they going to stay alive if these monsters hear even the noise from a dropped bottle cap – or when someone steps on a nail? As for Mom and Dad, John Krasinski and Emily Blunt, married in real life, do a beautiful job of creating two people who stay calm in the face of catastrophe. Each is believable in this outsize state of horror and both are dedicated to saving their children. Whenever a tiny noise erupts, a monster surges in for food. It is probably best just to say the actors are so good that you will be glued to your seat in fear. Each of them is not just credible, but inventive. The filmmakers were wise to delay the arrival of the monsters until late in the movie. Watching a family cope with living in silence gives us time to appreciate each of them. We don’t want anything bad to happen. In a dire situation we’ve never imagined, this family wins us completely and then, suddenly a noise followed by the inevitable invasion of the actual monsters explodes. Those of you who love horror may love these final minutes. Those of us who don’t will keep rooting for the people we have come to know. Just hang in and imagine the creativity it took to create a world of absolute silence for an entire family. And when you go home, have fun listening to the sounds in the world around you that you thought was so quiet. Did someone just drop a bottlecap? 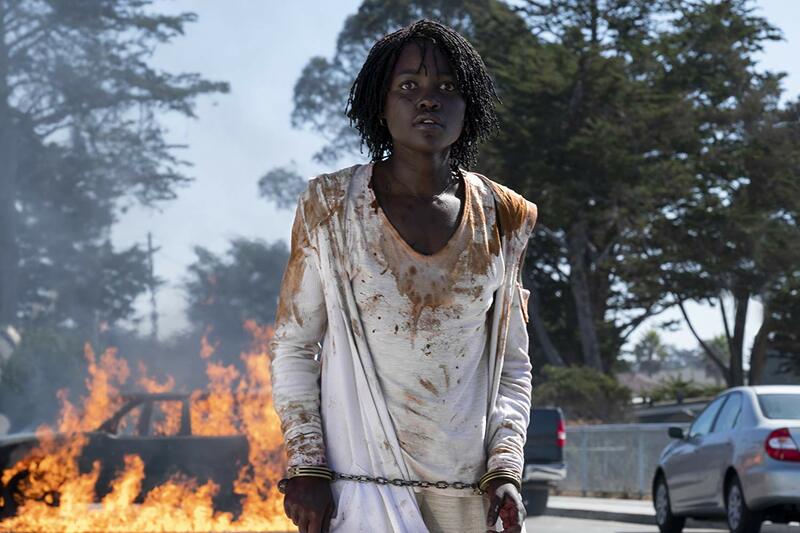 This review was posted on April 21, 2018, in Drama, Horror, Sci-Fi/Fantasy.